Here's a question that I personally answered a while ago, but after thinking about it, I figured there may be other people out there who want some straight talk. 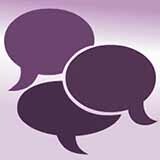 Do you have any personal advice (not a gimmick or step-by-step program) for someone who is socially anxious? Yes, actually. You know, I like step-by-step instructions, but they can be a little disconnected, and sometimes you just want to know what other people think, how they feel, and how they get through life. So I’m going to share a few things that I’ve figured out over the years. It's that time of year again. Maybe you’re coming up on Christmas, or it's Hanukkah, or Hogswatch or possibly some other holiday. Or maybe you refuse to acknowledge holidays. You know why? Because December is a big month for gift giving, so deal with it. And while you're passing around gift baskets, you ought to do right by your nerdy friends. Sure, you could spring for a Loot Crate subscription, an Enterpise-shaped pizza cutter, or even Smash Bros Ultimate, but those are the gifts you’ll find on any old “Top 53 Geek Gifts” list thrown together by a news outlet where the nearest thing they've got to a nerd is the reporter who knows the first line of the Spider-man cartoon theme, but couldn't tell you who Miles Morales is. So you’re here because you want to show that you’ve dug deeper than Buzzfeed and the Dallas Morning Herald. Hold onto your hat because here it is: the long awaited, extra thoughtful, Nerdy and Geeky Gifts Guide for 2018, Winter Edition! Items in this list range from super affordable to fairly expensive, so you should be able to find something appropriate for any nerd you know. I try to locate gifts suitable for nerdy and geeky people of all walks of life, both girls and boys, and I’ve also tried to sort things a little bit to make it easier for you. I do not own all of these items, but I avoid suggesting things that get bad reviews. I won’t recommend something that I wouldn’t buy for my own friends. Full disclosure: I am not selling any of these items myself, but if you use one of my links I may get a reward, which helps pay for The Nerd Manual. Even if you don’t buy one of these items, I hope the list gives you some ideas for gifts that your nerd friends will love! 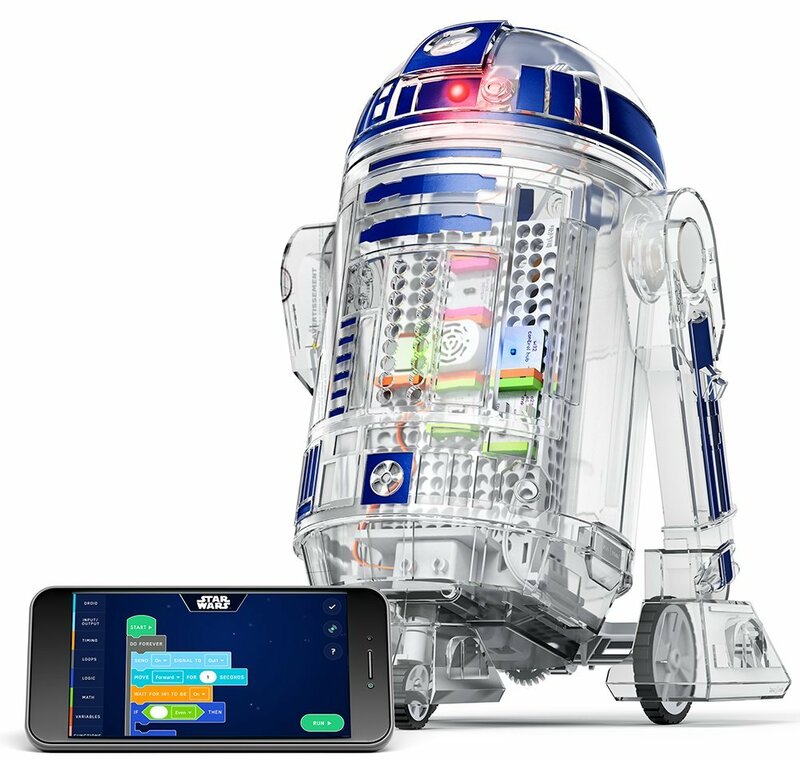 LittleBits have earned all sorts of awards for their inventor kits, and their Droid Kit combines robotics, coding, AND Star Wars. What more could you ask for? Learn how to control electronics with 22 block-based coding missions that are as simple as stacking Legos, but teach you to build an instruction set for your droid. Once you've worked through all the missions, you can build your own code and personalize your droid. Note: this requires an iOS or Android device to load the app for coding. 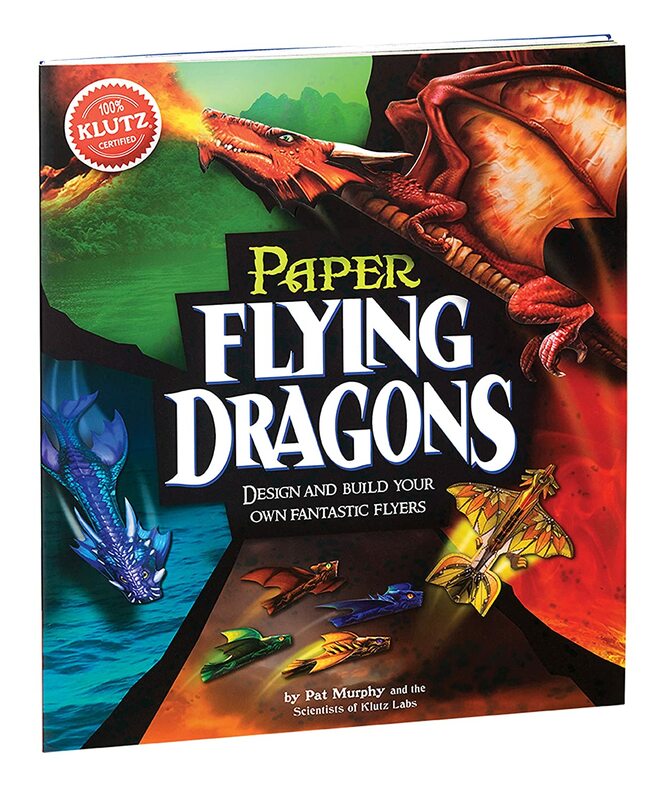 The unfortunately named Klutz Paper Flying Dragons Craft Kit will introduce you to six flying dragons from a variety of terrains--even including a steampunk dragon--with a fairly detailed book that not only gives you the lore behind each creature, but instructions for making great folds, checking your dragons' symmetry, and tweaking them so they fly the way you want. Seriously, everything you need to start flying dragons is in this kit, even the tape. The DC Super Hero Girls series is just plain cool, and offers a variety of gift choices whether the kid you have in mind is nerdy or not. I really like that the dolls aren't wearing high heels, their bodies and hair are sturdy, and their limbs actually move...you know...like a real person's. 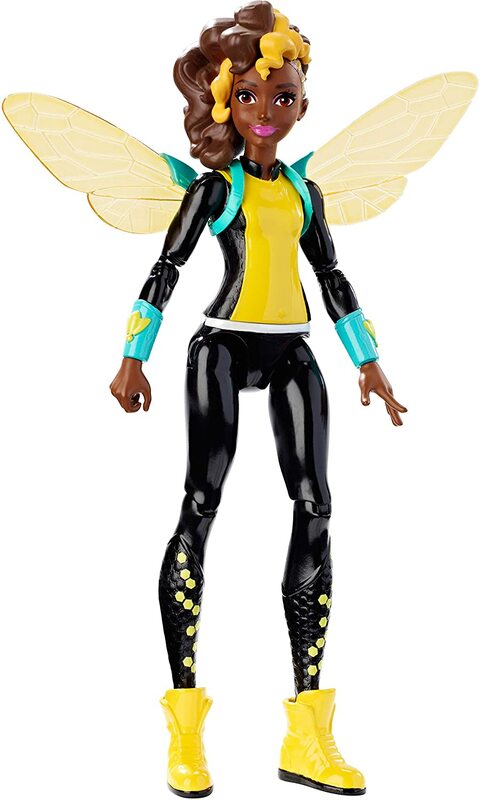 I like the 6" action figures made of durable plastic so the girls can stand up to heavy duty play time, and they come individually, like Bumble Bee, or in sets, like the Triple Team. If you know someone who has the dolls but not the comics, you can get four entire story arcs in the Super Hero Girls Boxed Set. And of course there are Super Hero Girls coloring books. 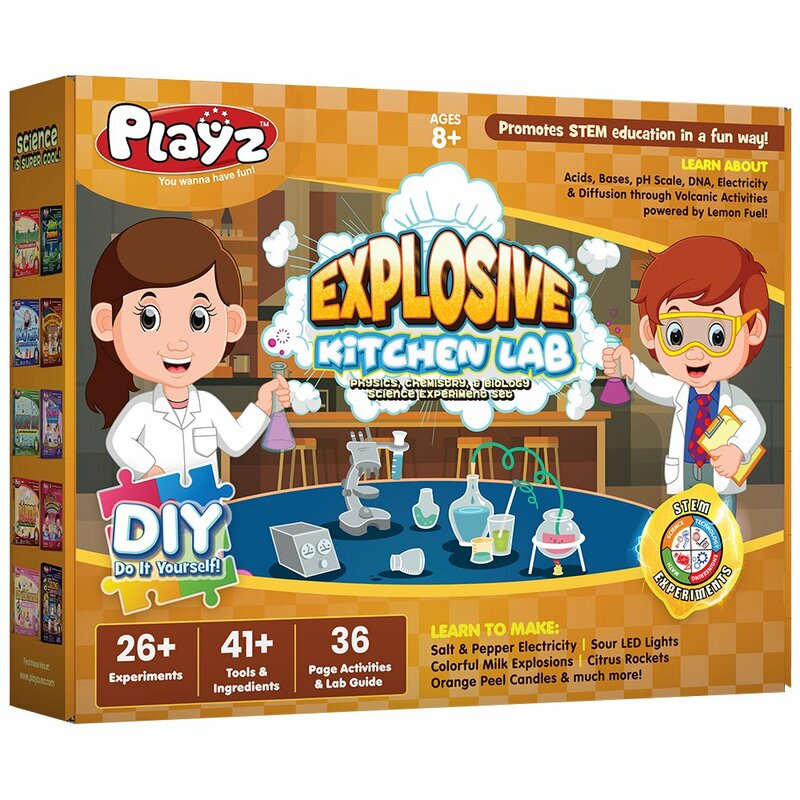 Learn about acids, bases, DNA, electricity, and more with the Playz Explosive Kitchen Lab. This activity kit uses normal stuff you find in your kitchen like lemons and slices of bread as the key components of a series of experiments. The guide is easy to follow, but full of detail. Kids under 10 may need some help, but older kids can probably follow the instructions on their own. 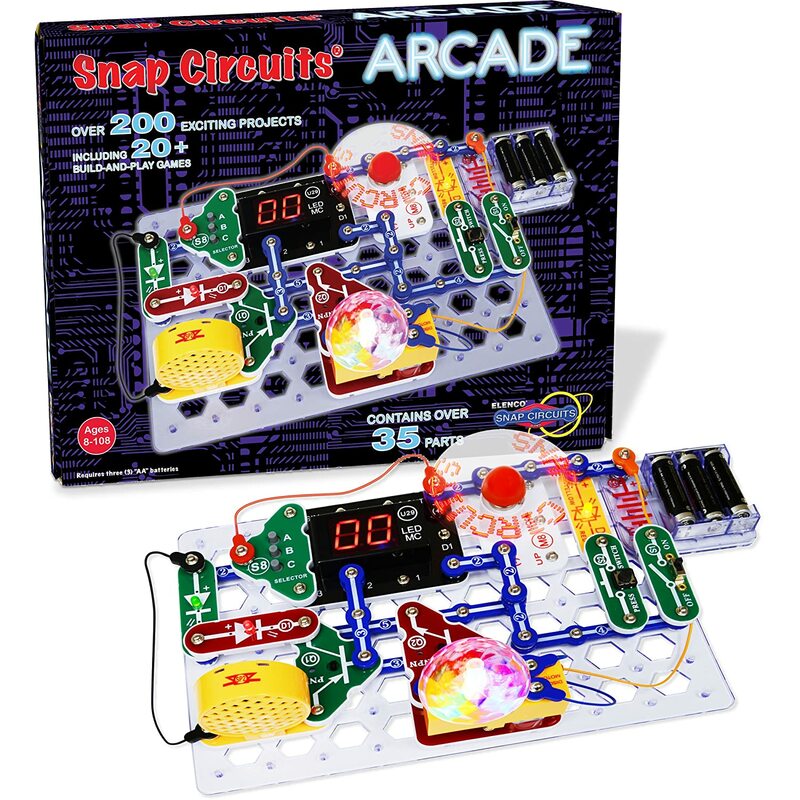 Make your own tabletop arcade with the Snap Circuits Arcade kit. 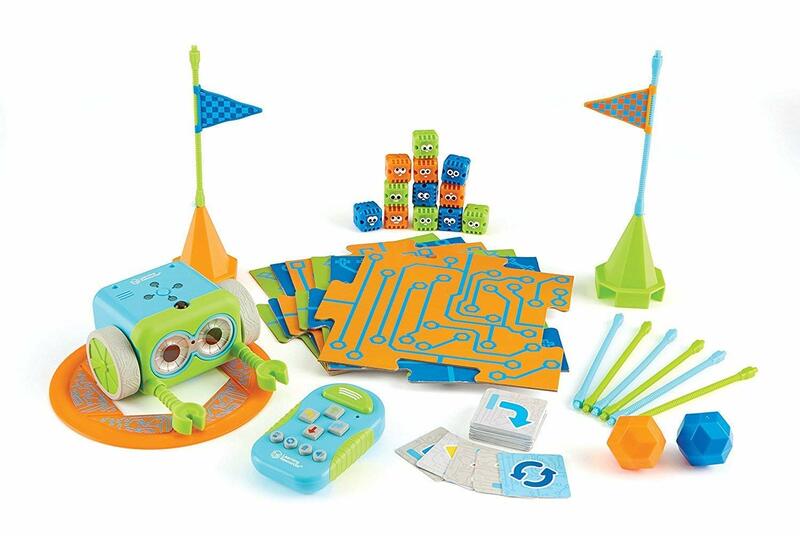 Snap Circuits is another multi-award winner, and this kit introduces you to electronics in a game environment that requires no soldering--everything literally snaps together. The 30 Snap Modules come with instructions for 200 projects like a programmable word fan, a two-digit LED display, and even a micro-controller. If you'd like a bit more flexibility, try the Snap Circuits Classic that gives you 60 components for 300 projects including a burglar alarm, and a radio. This kit is upgradeable, or you can go straight for the Extreme kit and get 80 components including an analog meter, photoresistor, power amplifier, and solar cell to build 750 projects. The Kamigami Ladybug Robot is a fairly straightforward build-it-yourself robot, but it does more than just follow a line or light. Kamigami bugs skitter over most surfaces and even work outside, and they come with built in sensors that communicate with your mobile device. 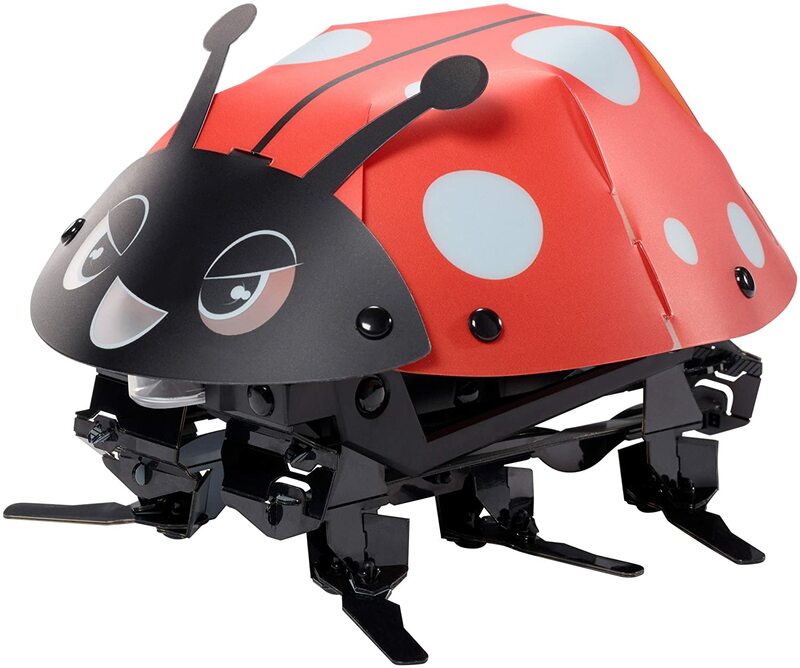 You can download the free app to drive your ladybug (or one of the other Kamigami robots), do battle with other Kamigami, or you can program your robot to follow commands and react to its environment. The app is graphical, so it's as easy to use as stacking blocks. There are other bots in this line including a praying mantis bot, scorpion bot, and of course a beetle bot, but the ladybug is definitely the cutest. Ever wanted to be a cosmetics designer? 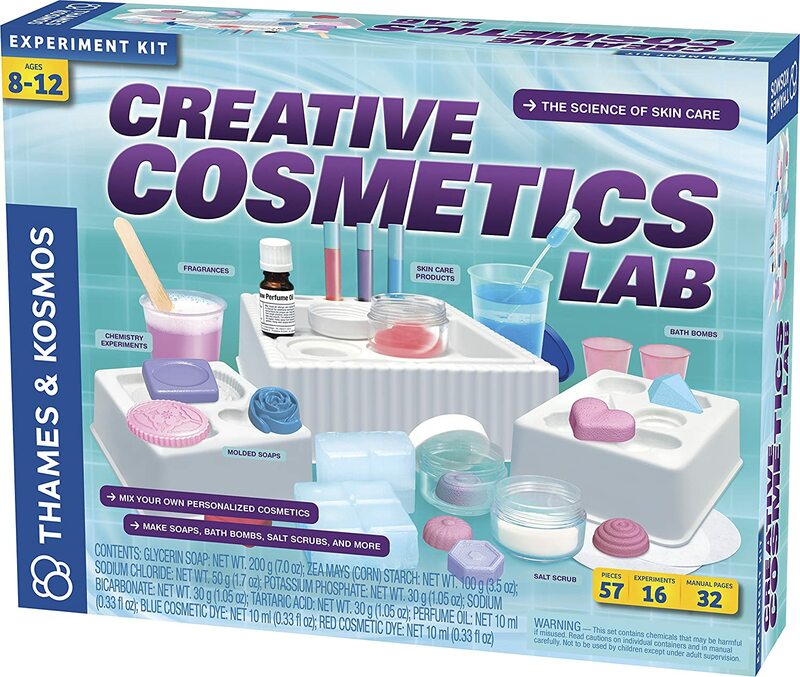 Thames & Kosmos' Creative Cosmetics Lab lets you create your own cosmetic products like soap, shower jelly, lip balm, and fizzy bath bombs. The set comes with enough ingredients--things like potassium phosphate, tartaric acid, glycerin, and perfume oil--to make all the items in the experiment book, as well as instructions on how to make your own experiments from items purchased at your supermarket. Botley the Coding Robot is cute as heck and ready to play, but he's way smarter than an Aibo or dancing gorilla. You don't need a computer, or even download an app to your phone, the coding device is a handheld remote with, believe it or not, actual buttons. This is the perfect first coding bot that could lead straight into Lego Mindstorms and perhaps FIRST robitics later on. Some nerds argue Star Wars vs. Star Trek, while the deeply geeky still morn the end of Joss Whedon's Firefly. 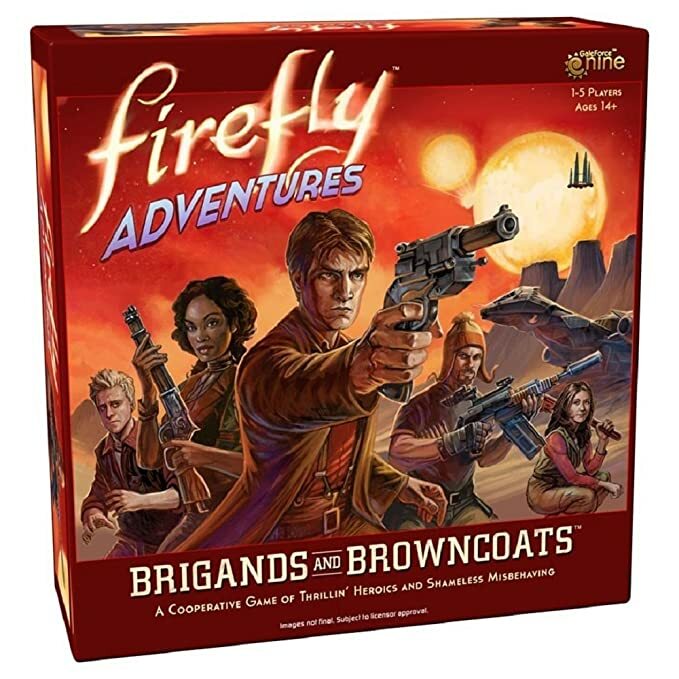 But the Firefly Adventures: Brigands and Browncoats board game lets you skirmish with with goons in the Eavesdown docks. This is a fairly sophisticated tabletop game with a unique turn order mechanic, and characters who all have different abilities. Terrain is included, even the bottom of the box has a role to play in your adventures. Do you have friends who are into roleplaying? I bet they can always use a new set of dice. 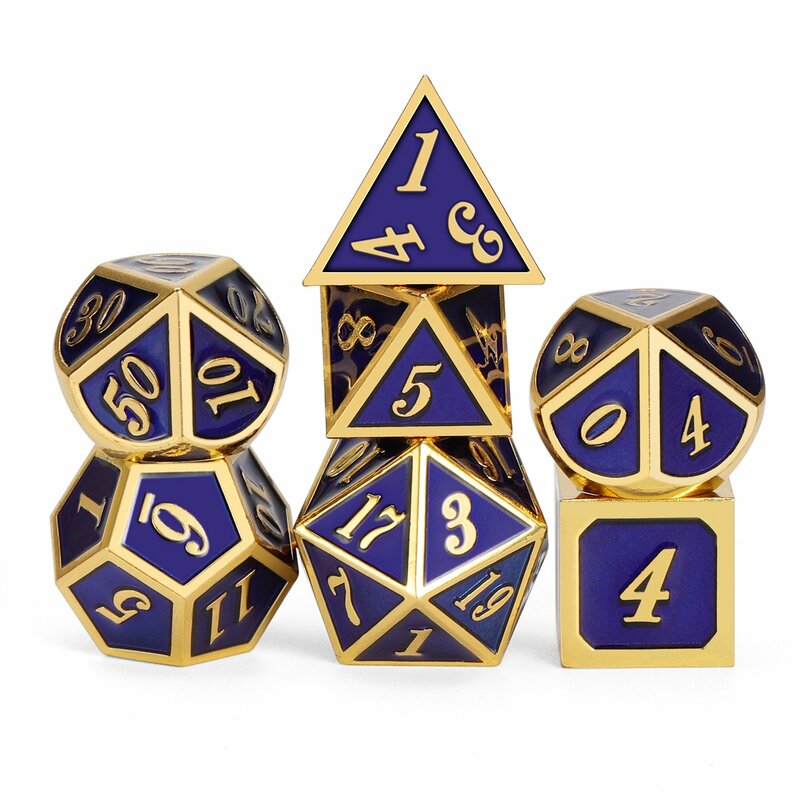 Why not give them something classier than a box of colored polyhedral plastic and spring for a set of metal gaming dice. Heavy, shiny, available in different colors, what's not to like. Finally, if you've got a video gamer friend who isn't already on a Humble Bundle subscription, you need to remedy that situation. Humble offers bundles of games worth at least $100 each month, and you'll pay less than that for an entire year's subscription. The best part of this deal is that Humble donates 5% to charities. Do you know someone who wants to get into drones, but hasn't made the leap because it's an expensive hobby? 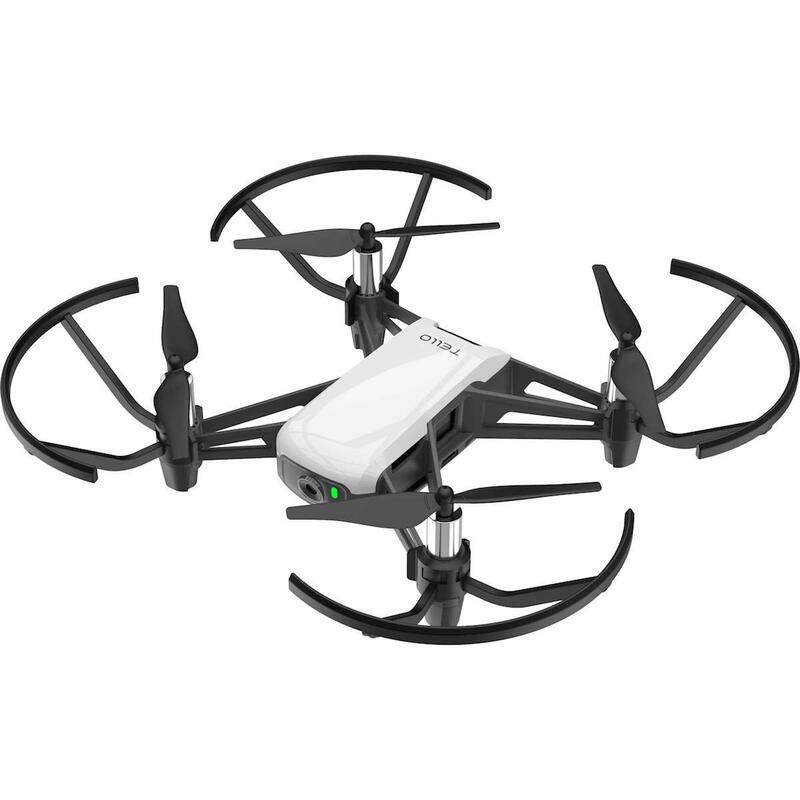 The Tello Quadcopter is an easy gateway. For under $100 you get a camera quadcopter that's smaller than a paperback book, but takes photos and streams 720p video to your smartphone. I've used mine to inspect roofs for leaks after a storm came through...and drone derby day. If you've got a gadget lover who's prone to misplacing things, whether that's car keys or quadrotor drones, Tile has a solution. 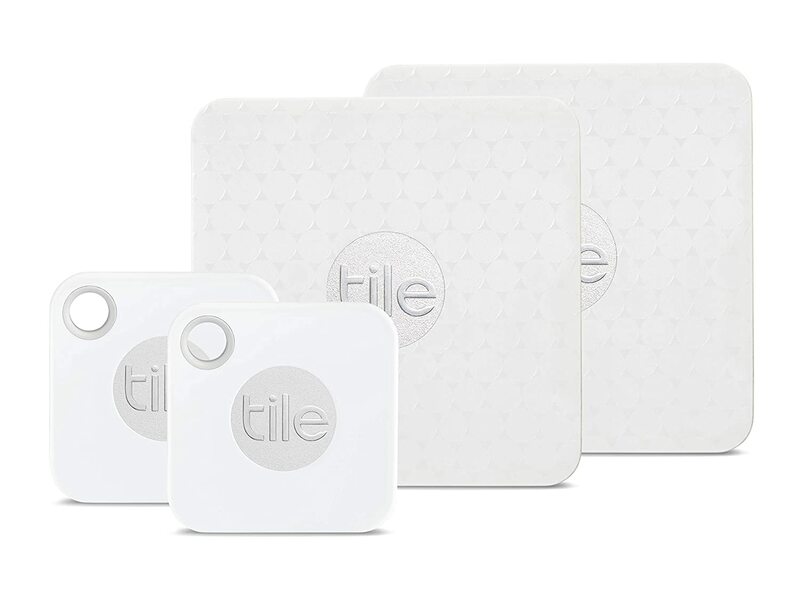 Use the Tile Mate and Tile Slim to keep track of whatever you attach these little guys to. I've heard that people have found their lost dogs thanks to Tile, but you might come up with other creative uses. I'm leading with the heavy hitter in this category. The Lego Apollo Saturn V Building Kit is a drool-worthy model that, at $105, is definitely a splurge gift, but if you know a space nerd who enjoys assembling things, this is worth it. 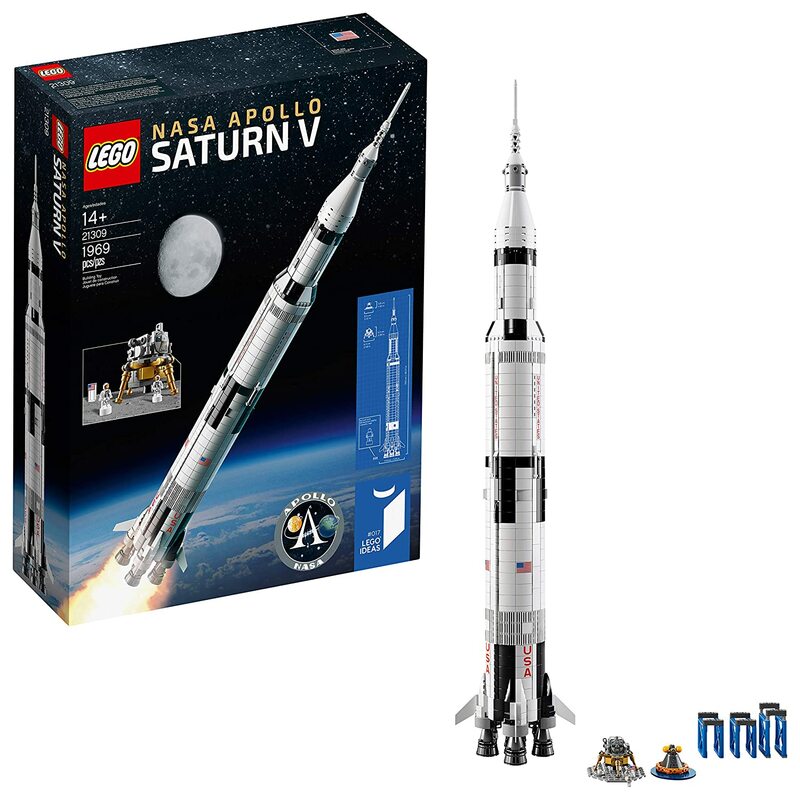 You get 1,969 pieces (commemorating the year Apollo 11 launched) that assemble into the Saturn V rocket with all its stages, the command and lunar modules, splashdown version of the capsule, two astronauts, and even a flag. This thing is huge, a meter tall, and can be displayed vertically, ready for launch, or horizontally on the included display stands. However, if your nerd friend isn't inclined to assemble that many pieces, or is maybe a little more zany, there's always the Lego Bat-Space Shuttle from the Lego Batman Movie. 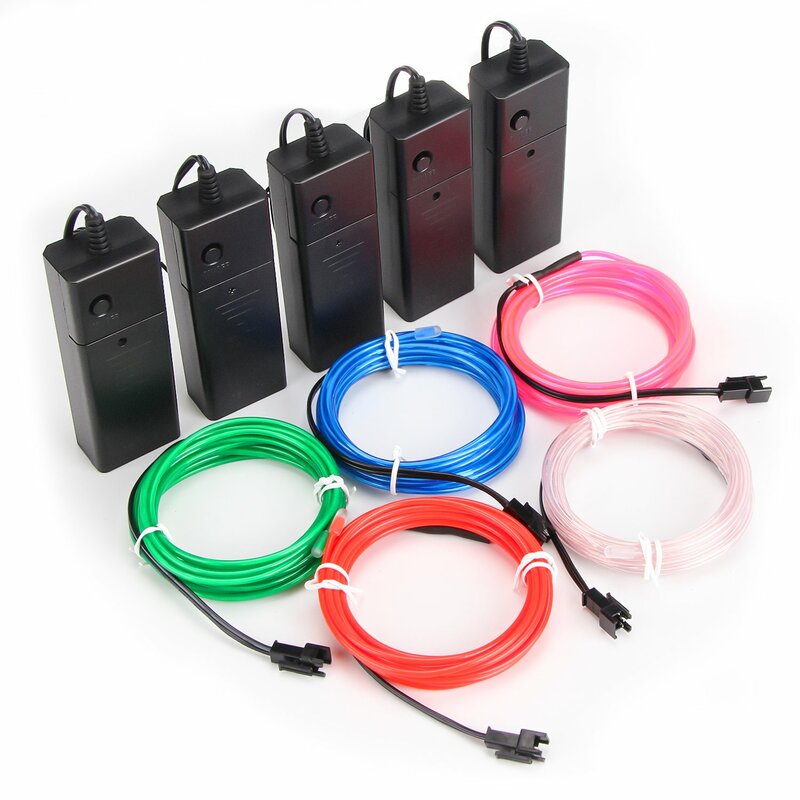 Get a set of these "Neon" Light Strings and turn your life into a perpetual 1980s video. The electroluminescent wire is flexible enough to bend into almost any shape, and it's water resistant so you can use it outdoors if the mood strikes you. The uses are endless--party decorations, car customization, cosplaying details, fashion accenting, music video effects, and whatever else you can think of doing with a non-toxic, cool to the touch, nearly amorphous, glowing light strand. As always, I'm recommending the Raspberry Pi. It isn't new, but it's still one of the coolest gifts for nerds who like to build their own computers. Raspberry Pi is basically a very small computer that you can program and add to, so you can make anything from a media server to a home security system. You can get everything you need to start out in a Raspberry Pi 3 starter kit, and there are tons of add-ons including an HD camera, a sensor pod, and even a touchscreen. You can put your tacos in a tyranosaurus rex! What else can I say about this item? 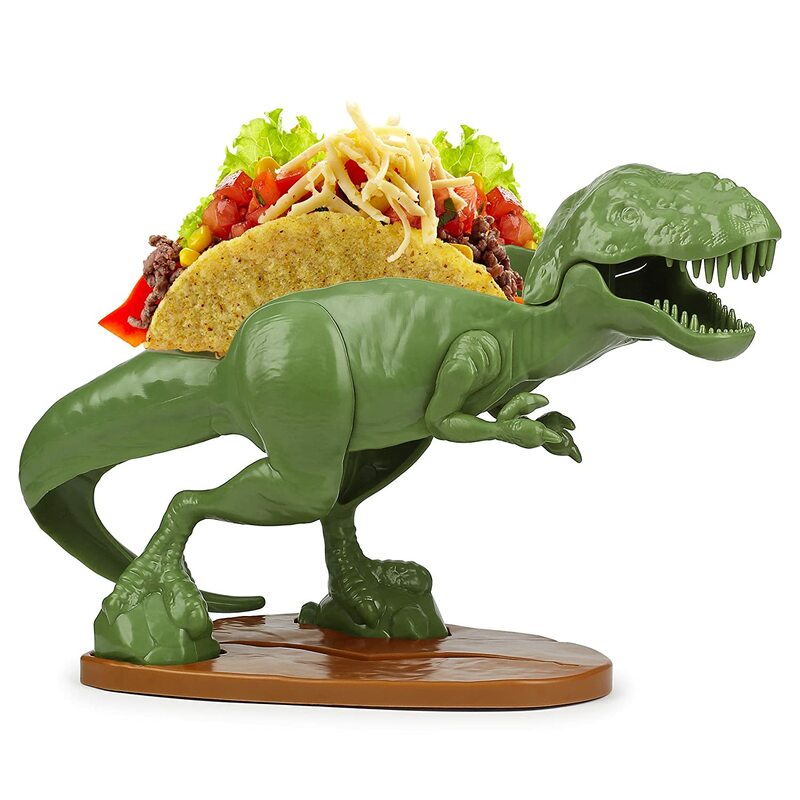 Nothing says nerdy like a dinosaur taco holder. Don't eat tacos? No problem. Use it for your sandwiches, your waffles, heck, you can put your wallet or mail in it. It's only prudent to warn people when you're transporting dangerous liquids, so carry your dangerous liquid in this WARNING Dihydrogen Monoxide container and rest easy knowing that no one will accidentally inhale it, make contact with its irritating solid form, or get contact burns from its gaseous form. DISCLAIMER: The Nerd Manual admits no liability for people who choose to knowingly transport dihydrogen monoxide across state lines, or within 100 meters of a day care center. Do you know an older computer nerd who remembers the days before WiFi, when you had to sneakernet files between computers using plastic encased floppy discs. 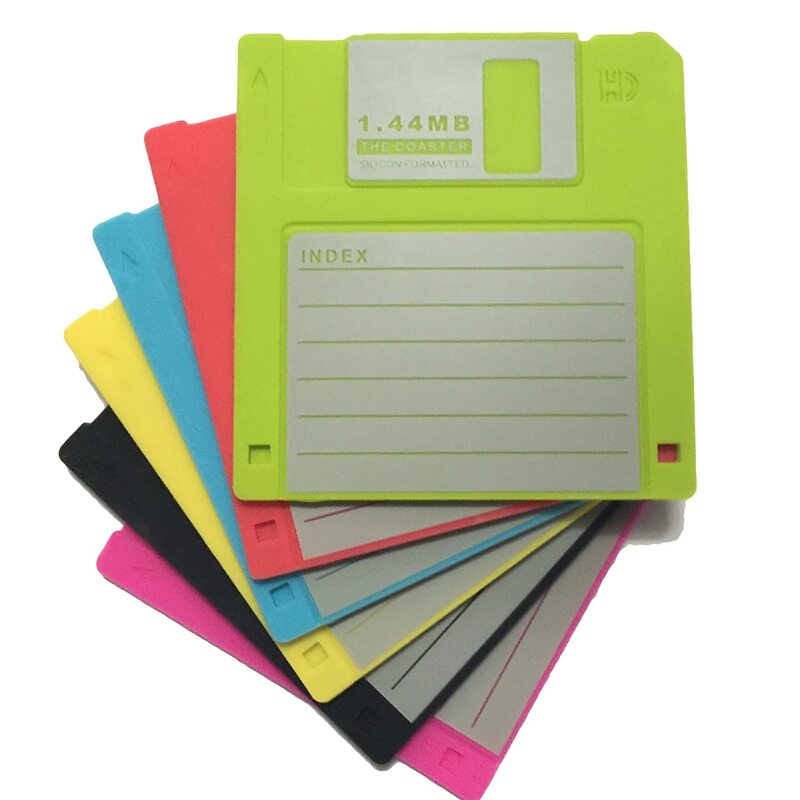 Give them a set of Floppy Disc Coasters to rekindle that nostalgia. Unlike the hard plastic originals, these are made of colorful silicone, so you can use them as drink coasters, spoon rests or hot pads, microwave them, freeze them, and pop them in the dishwasher when you're done. 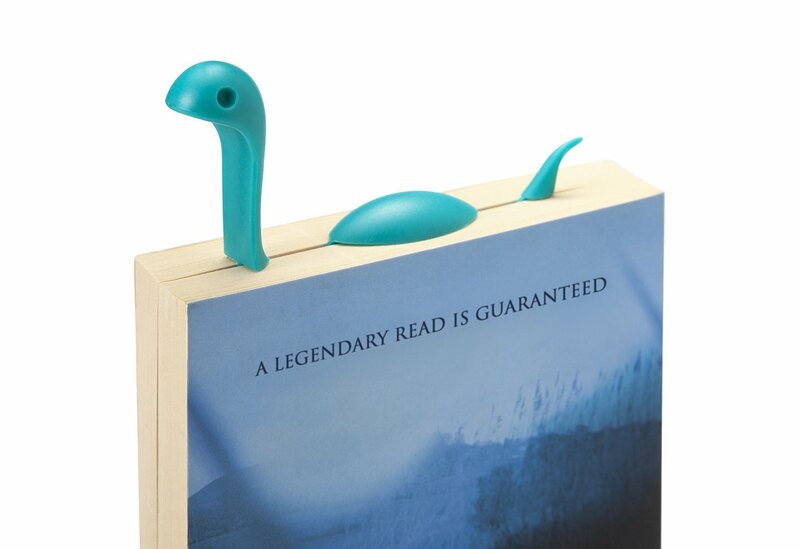 The Ototo Nessie Tale bookmark is is by far the cutest bookmark I've seen. The shy and elusive Nessie may not like cameras, but she'll happily keep track of where you are in your latest book adventure. If you don't have them already, be sure to check out the Nessie Family strainer, ladle, and tea infuser. 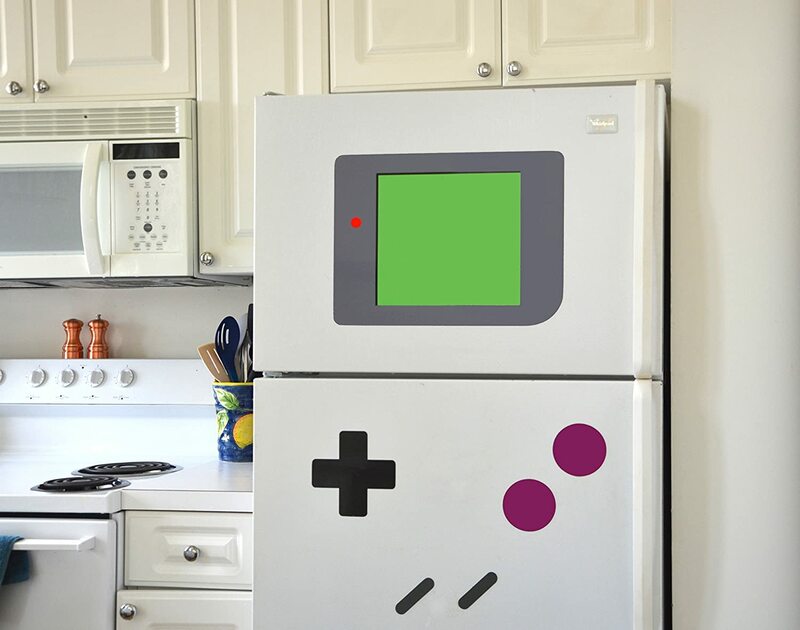 With the FreezerBoy Magnet Set you can turn your fridge into the world's largest Gameboy, and then write notes to your family or roommates on the 16x12 viewscreen. These are pretty darn large magnets, so they may be a little too large for a dorm fridge, but they're perfect for a full-size refrigerator, or maybe even a top-load washing machine. 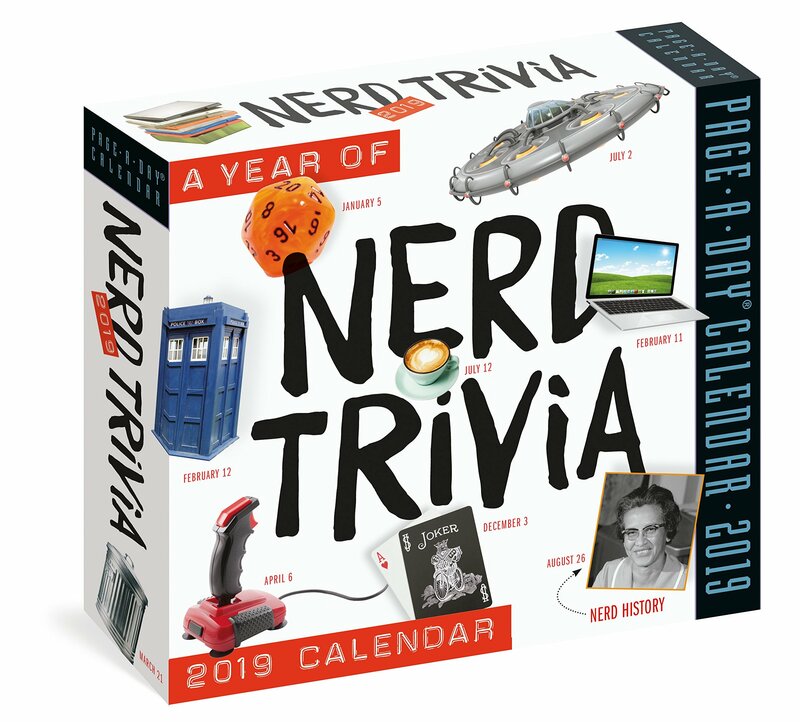 Test your nerd cred with this page-a-day Nerd Trivia Desk Calendar that asks nerdy pop culture questions, takes note of important geek dates, and offers bits of trivia from movies, books, comics, and other resources across the nerd spectrum. 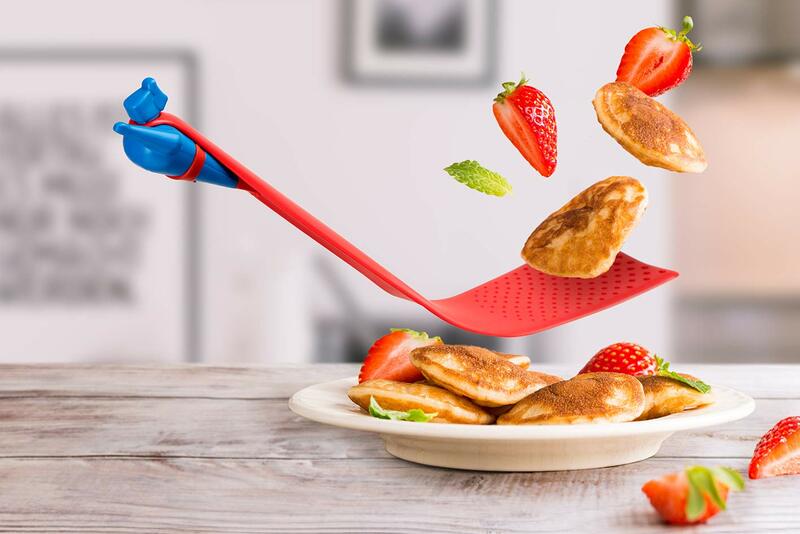 Swooping in to save breakfast, the Pan Man spatula is faster than French toast, stronger than a sunny-side-up fried egg, and flips pancakes in a single bound! And it's perfect for morning super heroes. 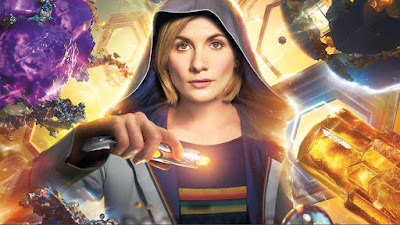 It's taken a long...long time for us to get a female Doctor Who, but now that she's here we've also got a book dedicated to the women who have been a huge part of the show from the beginning. 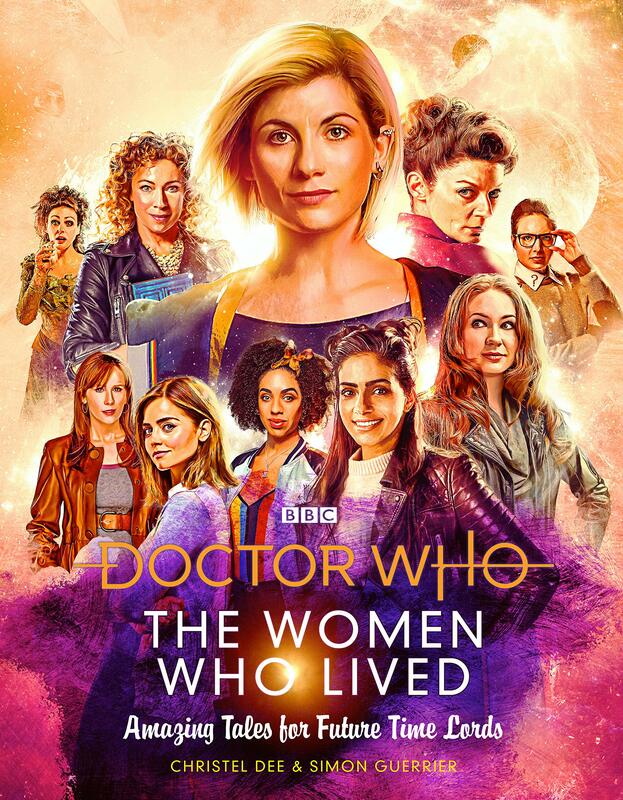 Doctor Who: the Women Who Lived is a beautifully illustrated book that looks at all the women of the Whoniverse and they roles they've played in the Doctor's story. Explore the Hogwarts school for witchcraft and wizardry in 3-D without investing in an Oculus Rift! 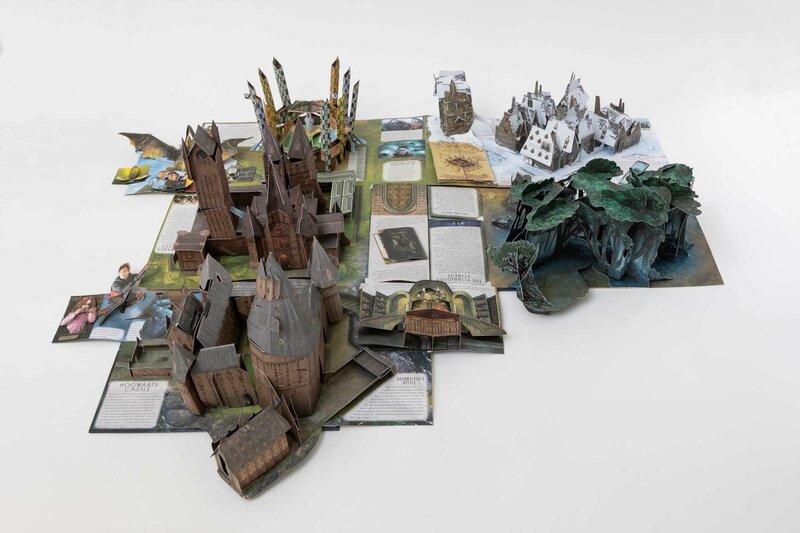 It's easy to dismiss pop-up books as children's fair, but there's some serious engineering skill that went into making the Harry Potter Pop-Up Guide to Hogwarts, which transform into a vast, three-dimensional map of Hogwarts that includes the Castle, Quidditch pitch, Forbidden Forest, and even tiny surprises like the Weasley's flying Ford Anglia. 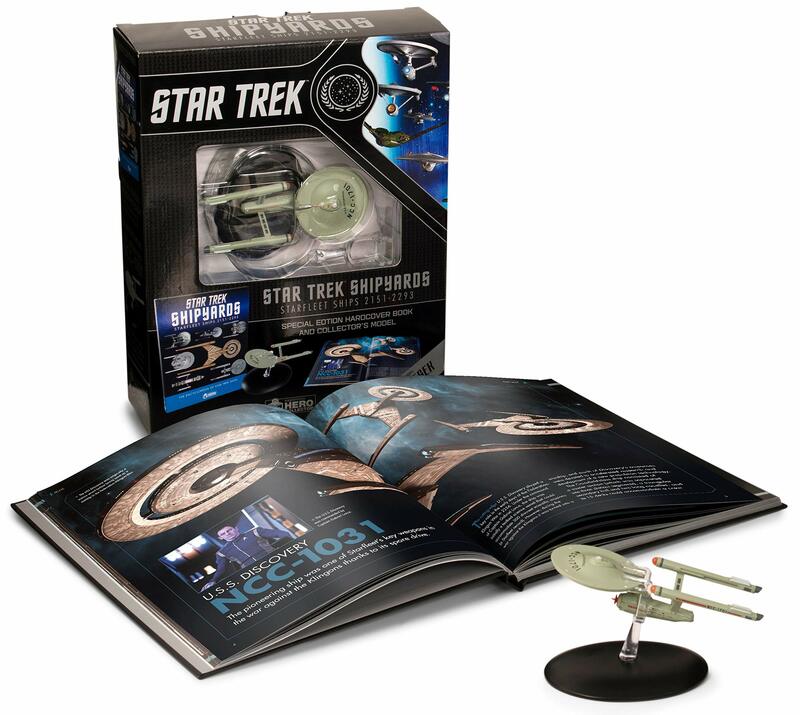 Trek nerds can drool over all the Starfleet starships in two volumes, with a third volume covering Klingon craft coming in May. Star Trek Shipyards Starfleet Ships: 2151-2293 collects all the Eaglemoss publications for their ship models from Zefram Cochrane's Phoenix up to the Enterprise-B--the ship where Kirk was lost--and includes all the Starfleet ships from Discovery. Star Trek Shipyards Starfleet Ships: 2294 to the Future covers the Enterprise, NCC-1701-D, Voyager, and Defiant. The final chapter features time traveling ships from the distant future. Holy carp, this book is awesome. 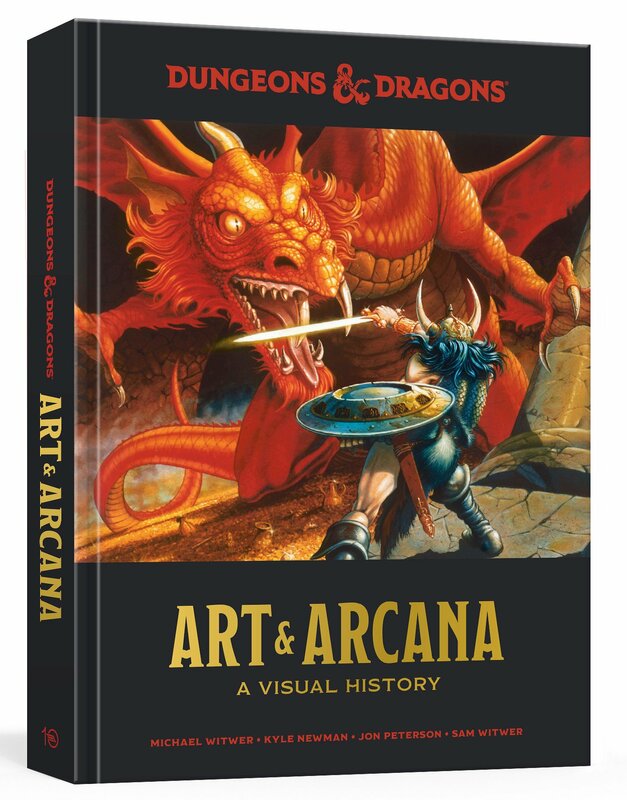 Dungeons & Dragons: Art & Arcana is a gorgeous book for D&D nerds, particularly those of us who grew up with the earlier editions of the game and remember the old artwork. Its illustrations trace the development of D&D art across the game's entire history from it's formation under Gary Gygax, through the Wizards of the Coast years. Art comes from core rule books, supplements, Forgotten Realms and Dragonlance novels, Dragon magazine, advertisements, and previously unreleased preleminary art work. If you really want to splurge, there's also a Special Edition with Ephemera that includes a special cover box and extra material. 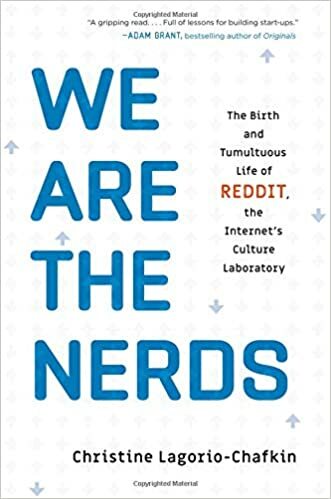 Whether you've been on Reddit since the start, or just discovered Reddit culture, if you'd like to know more about the site's founders and what they went through to make Reddit "the front page of the Internet" We are the Nerds will tell you what it's like to build a global community from scratch. Be warned, just like the Reddit community this book addresses some controversial topics that might offend some readers. And, to finish up, Geeks Line Publishing offers an entire selection of books about retro console gaming. My favorite, the Playstation Anthology, is their celebration of the Playstation gaming console in a full-color tome that traces Sony's journey from the company's creation to the PS's retirement in the early 2000's. Included with the historical information are interviews with industry figures such as Yuji Horii and Hideaki Itsuno. If you're a Playstation fan, you'll enjoy this nostalgic look at the history of the console that changed the face of home gaming. If you want more ideas, you can check out the Nerdy and Geeky Gifts Guide: 2017 Winter Edition, which will have some items that are no longer available but may help spark your gift giving creativity. Have you ever wanted an astronaut to read your kids a bedtime story...from orbit? Well, you can make that happen for your children, or perhaps yourself, with the Story Time from Space project. Part of the Global Space Education Foundation, Story Time From Space sends children’s books to the International Space Station where astronauts make videos of themselves reading to the children of Earth. The videos are archived on the Story Time From Space website in their Video Library. The astronauts also conduct educational demonstrations to go along with the books. The books cover a range of space and science related topics, feature a diverse range of characters, and are read by different astronauts on the ISS. 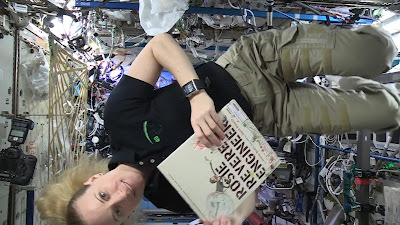 There's nothing quite like watching astronaut Kate Rubins floating in front of all the ISS equipment, the hum of the station's machines filling the background, as she opens a copy of Rosie Revere, Engineer. As she reads Rosie's story, you can hear the Russian's talking to Earth on the com system...not something you're likely to hear in your house. At the moment, there are only thirteen books in the Story Time from Space project library, which is understandable, considering that the only way to get books up there is via rocket, but hopefully the project can add more with each launch.